This cell and mobile phone battery recharger plugs into a car’s cigarette lighter. It keeps you charged while you’re on the road! 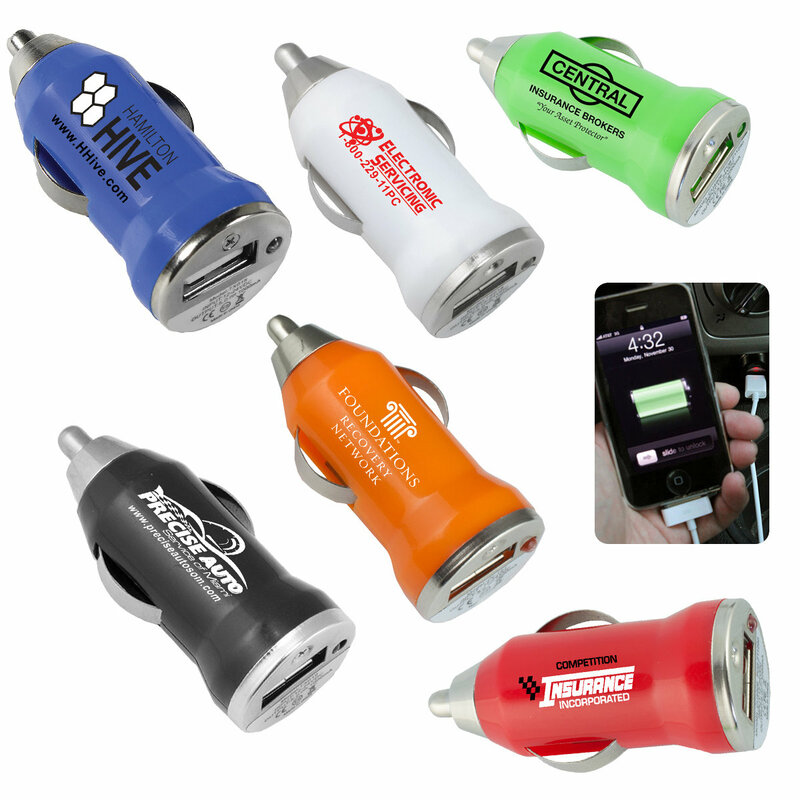 This single port USB car charger is made from strong ABS plastic and provides 5V/1000mA output with power indicator light. For Additional Color/2nd Location add: 0.30 (G), plus setup charge.